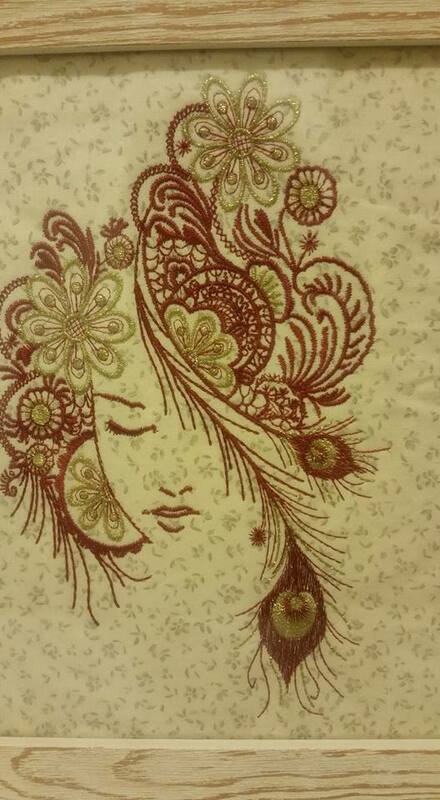 This elegant embroidery design will completely transform your favorite items! It’s a perfect creative upgrade for your belongings which is also quick and easy to do. 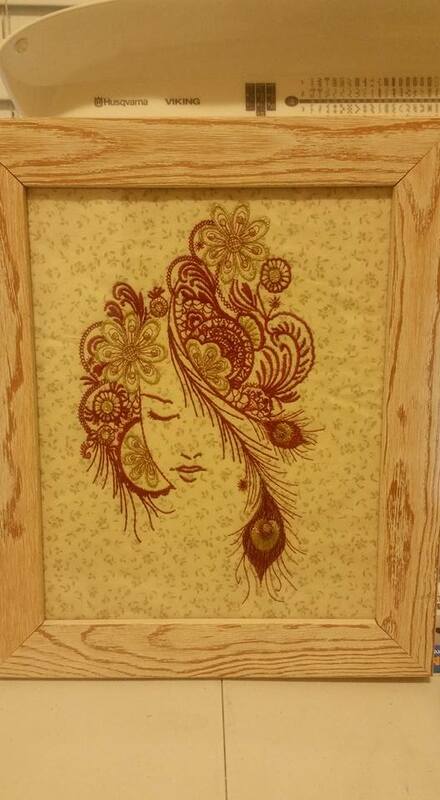 The needlework features a beautiful firebird girl. This abstract composition is amazing: it meticulously combines intricate floral patterns and waives them in one harmonious picture. The color palette is a mix of lemon and red berry. 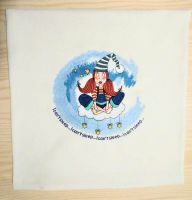 You can stitch it out to any of your stuff: T-shirts, denim jackets, sweaters, hoodies, scarves, purses, makeup bags and handbags, towels, pajamas, bathrobes, cushions, wall carpets, blankets, duvet covers, etc. Nice and beautiful lady pattern. Stitched it out on a towel, turned out gorgeous. No jumps of stitching and distortion. Would exactly sew the design again. Responsible seller. I recommend! Hi my designs will not down load to my computer, the file is but theres nothing in there. Please specify where you have problems. We checked the system and your account and found no problems. Have you chosen your type of embroidery machine correctly? Now you have indicated Janome 300/ 400E Your last orders we sent by email. The archive contains files in JEF format. 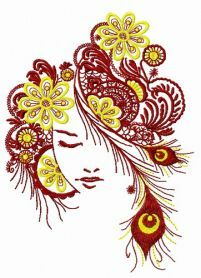 I've just downloaded the firebird girl for decorating my sweatshirt, looking forward to embroidering it on the days. Looks very nice, love it. Thank u! The design embroidered on the white jacket is different than the design that is mainly presented. There is a noticeable difference between design from white jacket and the design that is available for purchase. It is there available for purchase the design that is embroidered on the white jacket? hank you! Thank you for good words. We also happy. 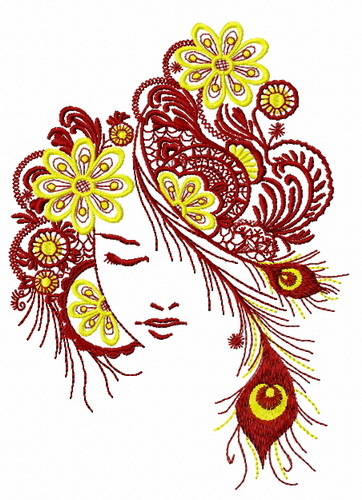 Yes, you can use this design for making and selling embroidered items. Without restrictions. 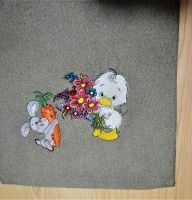 We are grateful if you post photos of your work with our projects in our gallery https://forum.embroideres.com/gallery/ or Facebook page https://www.facebook.com/groups/embroideresstudio/. Embroidery on jeans with his own hands is in great demand among young people. This new fashion of the 21st century looks very fashionable, beautiful and elegant. The fashion industry has taken a step forward. On the catwalk, we often see a variety of extraordinary clothes that a simple resident can not afford. Recently, handmade decor has taken the first place among fashionable dresses. Girls fell in love with denim trousers, which are easy to wear and have interesting new designs. 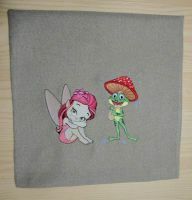 Embroidery on denim clothing is one of the most popular decoration options. A really thick cotton fabric is absolutely perfect for embroidery. It is resistant to deformations and it is easy to apply even complex and dense multi-color compositions to it. The back back of a denim jacket jacket is a great field for creative ideas. You can embroider almost everything. From simple monochrome contour designs to complex art. 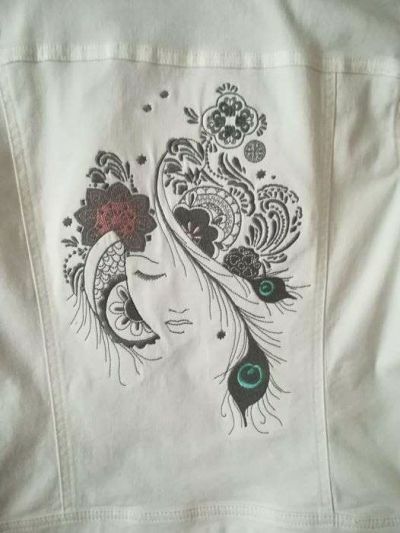 The photo is a beautiful women's denim jacket with a stylized portrait of a woman. A good example of casual wear to which an element of creativity is added. It turned out very beautiful and original.